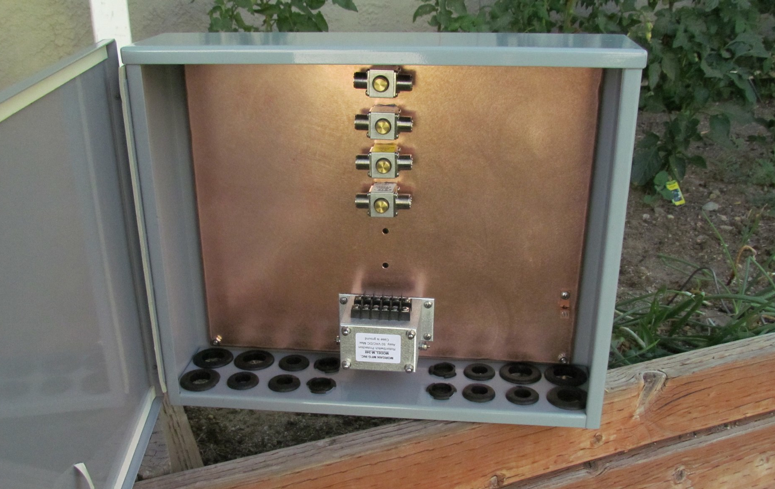 Alpha Delta units on copper, with large cut out in upper left for conduit passage through wall. The paint color is called Coffee Granite. 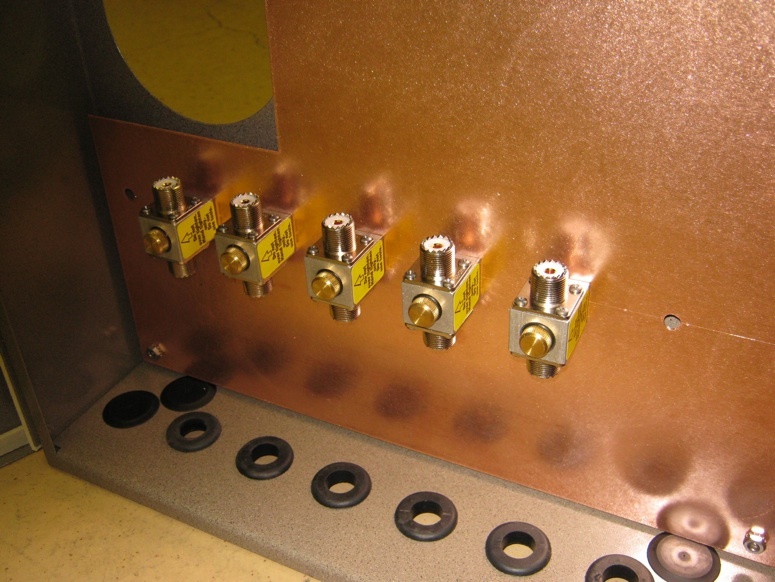 Alpha Delta units on copper, with Morgan rotor line protector. Notice there is no hole in the back of the box. Cables enter bottom left, turn into the arrestors, turn again and exit bottom right; this is typical cable flow when mounting outside at tower, etc. Paint color is gray.